This Valentine’s Day, forget flowers and chocolates because the team at Club Gold have the ultimate gift to impress that special someone – a 24 Karat Gold Cristal Champagne Infused Doughnut. These lavish, limited edition doughnuts are exclusively available to the Adelaide market and are the very first of their kind in Australia. At $100 a doughnut, they are also the most expensive. Club Gold’s team of bakers are making a limited release of just 100 doughnuts for pre-order for Valentine’s Day, available to purchase as single doughnuts or in boxes of half or full dozen. All orders can be made online and will be hand delivered by a Club Gold Team Member on Valentine’s Day, Wednesday 14th February. Alternatively, customers can pick up the perfectly gift wrapped doughnuts for their loved one from their CBD based Club Gold Zone on the evening of Tuesday 13th February. If a 24 Karat Gold Cristal Champagne Infused Doughnut isn’t extravagant enough, customers can choose a song they would like played to the doughnut while it bakes. Customers can choose from five handpicked, gold inspired tracks including Gold Digger by Kanye West, Gold by Chet Faker and Gold Dust Woman by Fleetwood Mac. “Customising the song that is played while the doughnut is baked is a fun way for customers to add a personal touch during the purchasing process,” says Team Club Gold. 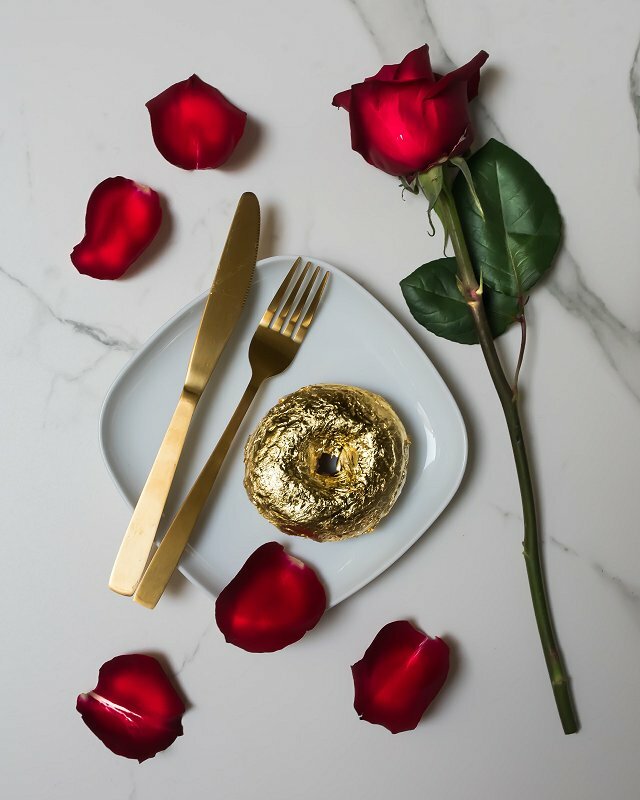 Club Gold also have their sights set beyond Valentine’s Day, taking custom orders of mini versions of the 24 Karat Gold Cristal Champagne Infused Doughnuts to be used at special occasions including as bombonieres at weddings, for bridal showers, baby showers and wedding proposals.